With over 20 years expertise in physical activity, human health and wearable technology our founding team has applied the science in a meaningful and statistically valid way. Christy is an exercise scientist and physiologist with expertise in the relationship between physical activity and health. She is a past Visiting Associate Professor at the Wearable Health Lab at Stanford University, leading the field in the study of wearable technology and analytics in medicine. Christy has a PhD in Rehabilitation Medicine, and has focused her career around measurement of physical activity, and promoting exercise as medicine for clinical populations. She is particularly interested in the capabilities of wearable technology for promoting lifestyle behaviour change. Rick comes from a Spinal Surgery and Orthopaedic Surgery background. He is Clinical Professor of Surgery at the University of Calgary. His past experience includes leadership roles within hospital and health care systems, and within university settings. Rick has co-founded, nurtured and grown a number of health-related businesses, and leads Vivametrica as President and CEO. 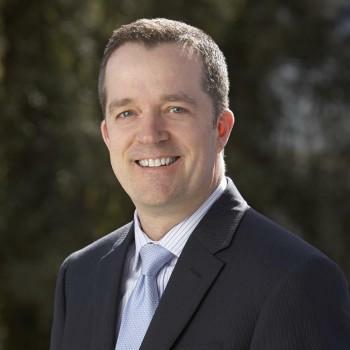 Matt is an entrepreneurial physician, educator and researcher at Stanford University, where he is Chief of Physical Medicine & Rehabilitation and an Associate Professor of Orthopaedic Surgery. His research interests lie in the application of mobile technologies to musculoskeletal care, and he is a pioneer in the new field of objective tracking of physical performance in musculoskeletal diseases. This work has given Matt unique insights into the capabilities and future potential of wearable technologies, and he is passionate about bringing their full potential to bear. Our team draws from a rich diversity of backgrounds with broad range of skill sets and expertise. As SVP, General Council and Chief Privacy Officer, Roland ensures Vivametrica’s data privacy and security policies are in compliance, while advising on contracts and other legal matters. Roland is also the Senior Legal Counsel at Finning (Canada) a division of Finning International Inc. He is the trusted advisor to the business (in particular, Finning Digital) – combining legal expertise and strategic thinking with practical solutions. Roland advises on matters related to telematics, data governance, data management, privacy and other technology related issues. Akbar is an expert data scientist, statistical consultant, educator and researcher focusing in the fields of data analyzing and data mining. He attained his Ph.D. in Applied statistics from the University of Western Ontario with his thesis focusing on new application methods in Computational Statistics. Akbar’s interests lie in using innovative analytics tools to improve analyze the relationships between lifestyle and human health for the purpose of advancing and bettering medical technologies. He uses his expertise in software design and modern programming languages to find new information and create new tools for these purposes. Lee is director of a research and statistical consulting unit in the Dalla Lana School of Public Health at the University of Toronto. For the past 25 years, she has been involved in all aspects of research design, implementation and analysis on epidemiologic and biostatistics studies. In her project management role, Sarah knows the importance of a clear scope of work, deliverables and resource allocation when it comes to the success of a project. Overseeing both our internal projects as well as client success, Sarah enjoys implementing strategies that utilizes the strengths of our team to get the job done. Best part of her job: keeping our team and clients happy! T brings 25 years in business management in the areas of operations, customer service & project management. She has focused her career within small business and entrepreneurial organizations, often in the area of health and software development & implementation. Patrick comes from a background in Bioinformatics from the University of Calgary. His interests lie in integrating automated data processing to improve individuals health and wellness. His expertise has provide insights into integrating Vivametrica’s world leading analytics into novel technological solutions. Patrick leads the development team and works Vivametrica’s skilled developers to execute on our technical vision. Full stack developer with proficient skill in a wide range of technologies. Focused on building application that have meaningful impact. Bill holds a Master’s Degree in International Management from Thunderbird and a Bachelor’s Degree in International Relations from Chaminade University, Hawaii. During a career spanning more than 30 years in international healthcare management, Bill has worked across the globe in places such as Hawaii, Guam, Dubai and, for over 10 years, in China and Asia. Bill was previously Head of Health Greater China at Munich Re in Beijing. In this role he was responsible for all health reinsurance and related healthcare business development activities in Greater China, Mongolia and the Western Pacific. Bill’s previous experience includes primary insurance and healthcare operations for Kaiser Permanente in Hawaii and Staywell Insurance in the Western Pacific.